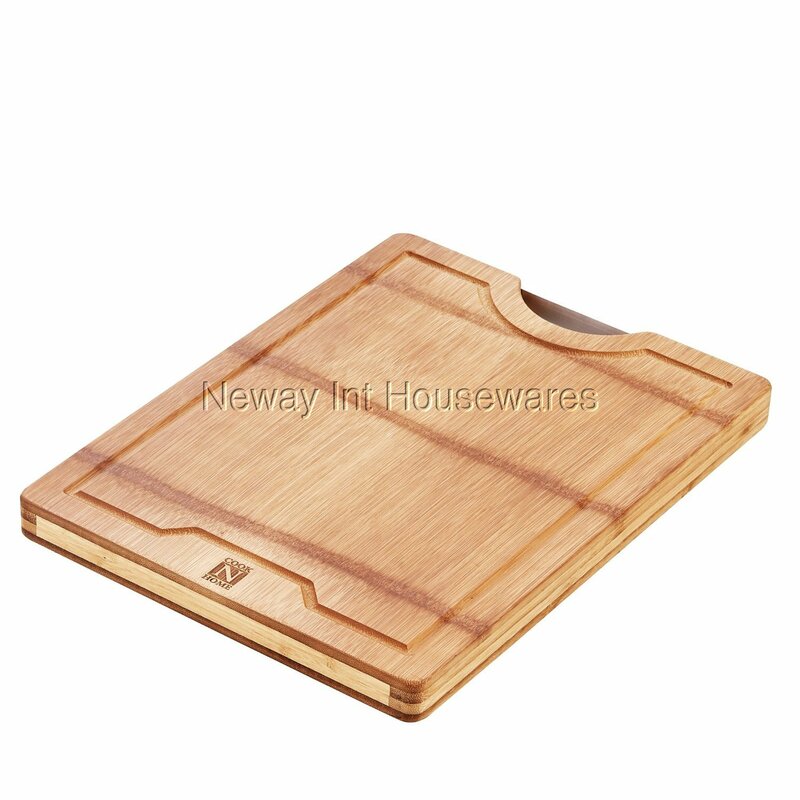 The Cook N Home Natural Bamboo Cutting Board, 15.75" x 12" x 1.2", Reversible is a whole piece of flat bamboo with no joints. Board will not crack with moisture since there is no glue on surface. Is reversible and has a drip groove. Measures 15.75 by 12 by 1.2 inches. Not dishwasher safe. Wipe dry after washing and store in a dry place. Please do not soak in water.